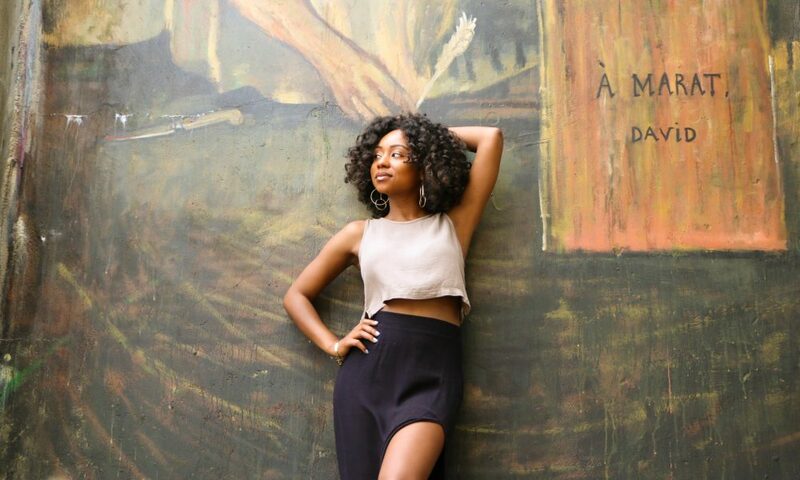 Today we’d like to introduce you to Ashley Janelle. Ashley, let’s start with your story. We’d love to hear how you got started and how the journey has been so far. Since high school, I always wanted a career that consisted of designing and building things online, but I wasn’t exactly sure what that would be. Like many kids my age, I loved changing code on Myspace and was very excited by the direction the internet itself was going and knew there’d be a huge space for designers. In 2013, I graduated from Columbia College Chicago’s Interactive Arts and Media Program and still had no clue what I wanted to do *laughs*. I took a lot of graphic design roles that consisted of working with huge brands and companies but I wasn’t fulfilled. During this time, I started an apparel company on the side and that fulfilled me in every way. I loved the process of creating all of the designs, running the company, marketing the company, etc. This was my first taste of entrepreneurship. 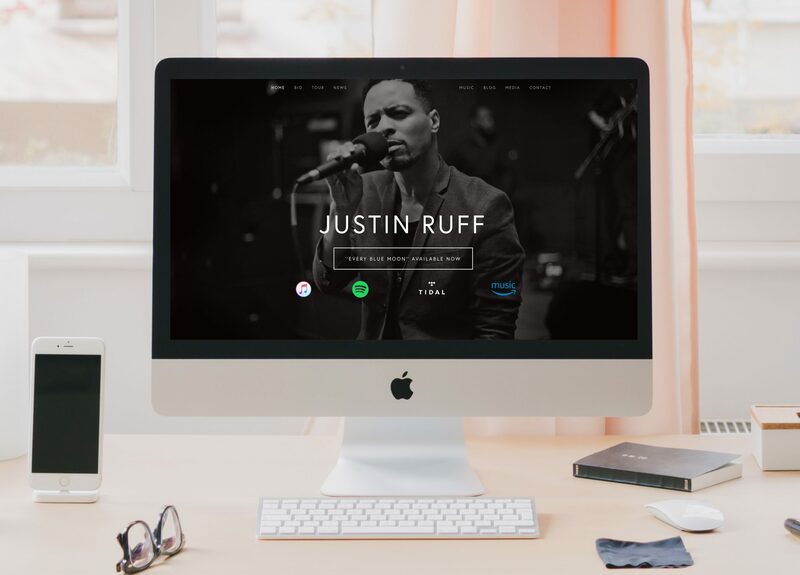 After a few years of working in graphic design and becoming frustrated in where I was in my career, my mentor told me about User Experience Design (UX) and how it was closely related to my background. I decided to check it out and the next day, I applied for a UX boot camp and the rest is history. Part of the key to loving what you do is to make sure your purpose is wrapped in it. 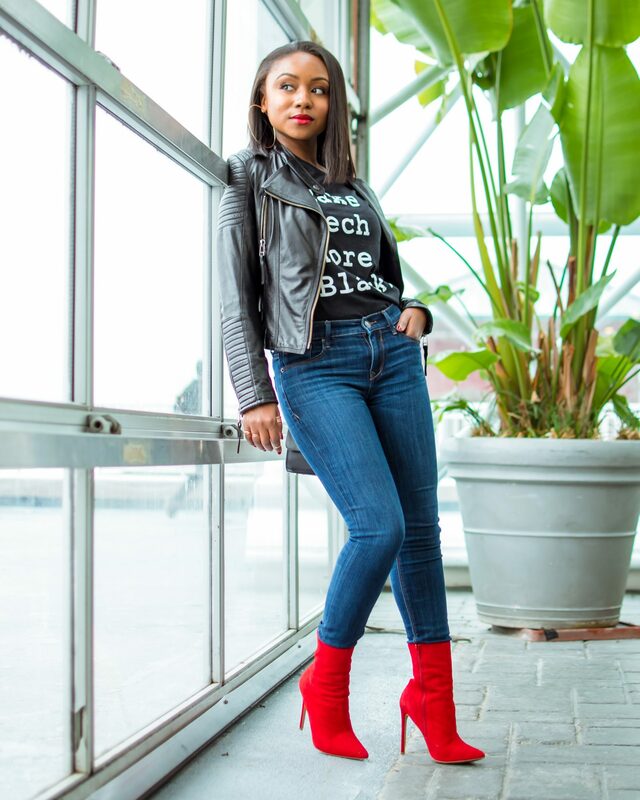 For me, being a Black woman in the tech industry gives me a seat at the table to tell my community’s stories and communicate our needs. Black people let alone women are so underrepresented when it comes to this industry so with that I know I’m right where I’m supposed to be. As it relates to what I do as a UX Designer I’m currently a User Experience/Interface Designer at Caterpillar. I create products for customers based on their needs and pain points around related products they’re currently using. We (Black people) often wonder why there aren’t many products and services on the market for us or marketed toward us. The thing we have to understand is that all products are created with a certain audience in mind. 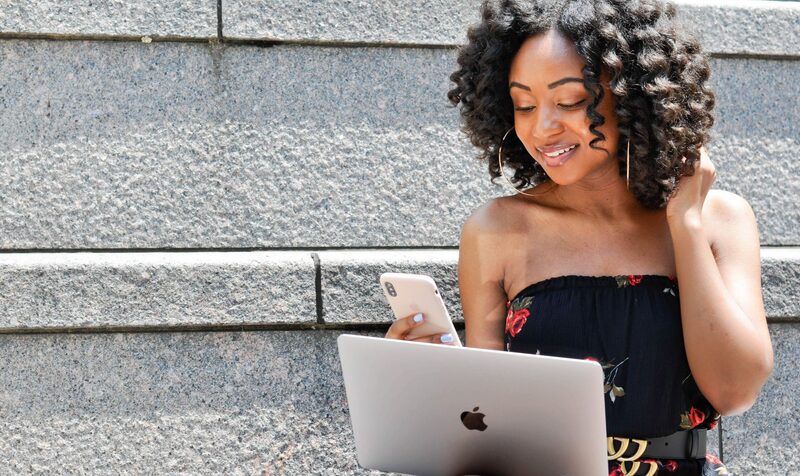 Needless to say, we are often not the target audience even though in some cases, black consumers make up over 50% of overall spending in America. Being in my position, I feel a responsibility to be a part of the change I want to see. It definitely has not been a smooth road. There were times during my career as a graphic designer, where I was bored and entertained other opportunities outside of design. I knew I’d be miserable there so I stayed focused and hungry. Please tell us about AshleyJanelle.com. 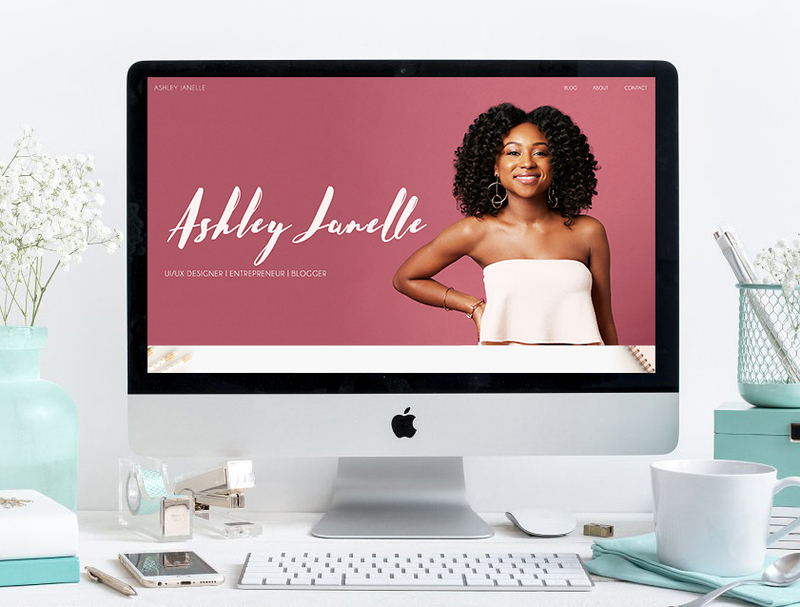 I’ve built a brand on my platform AshleyJanelle.com, in brand design consulting, and blogging. As a consultant, I am working with companies to reshape their brands visual presence and create marketing strategies to help take them in a new direction. As a blogger, I focus on tech products and experiences and bring my expertise as a designer into how I review them. What I’m most proud of is being able to create the life that I want. I love helping brands visually enhance their companies and feel good about putting themselves out there. I also love that as a blogger, I’m able to work with companies and add my own creative flare onto their products and services. I don’t feel stifled as a creative because I’ve created so many avenues to express myself. What sets me apart from other creatives is my background in entrepreneurship, art school degree, and corporate experience. These are three things that have and will continue to make me a more well-rounded individual. For young women just starting out, I’d say keep going towards whatever your goals are. I have never believed that some dreams were too much or too far out of reach. The key is to be persistent, ask questions, get used to being uncomfortable, stay hungry, and stay humble! 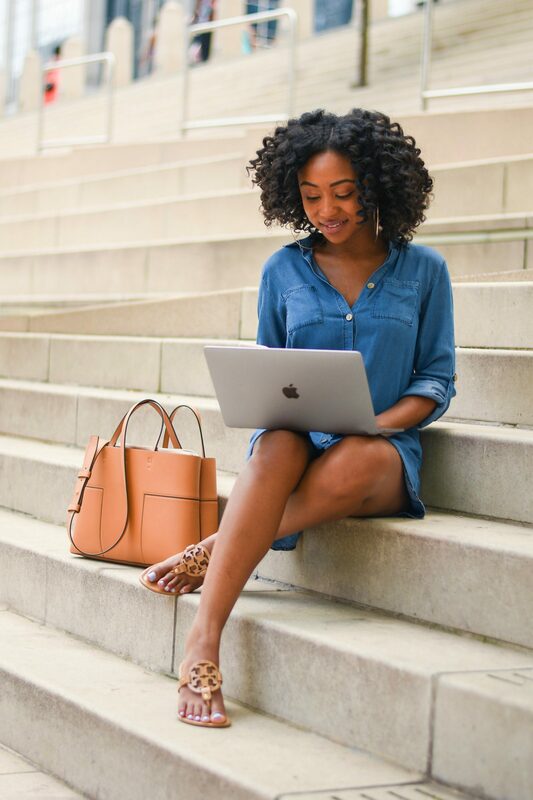 You might have to take that job you think you think is beneath you, miss out on vacations with friends or take a pay cut to get experience to be able to get to somewhere greater. Success and failure are the same road; however, success is usually further down that road.